I rush together a rich black truffle alfredo sauce with broccoli and fresh pasta. However, we need a knife to keep our palates awake. 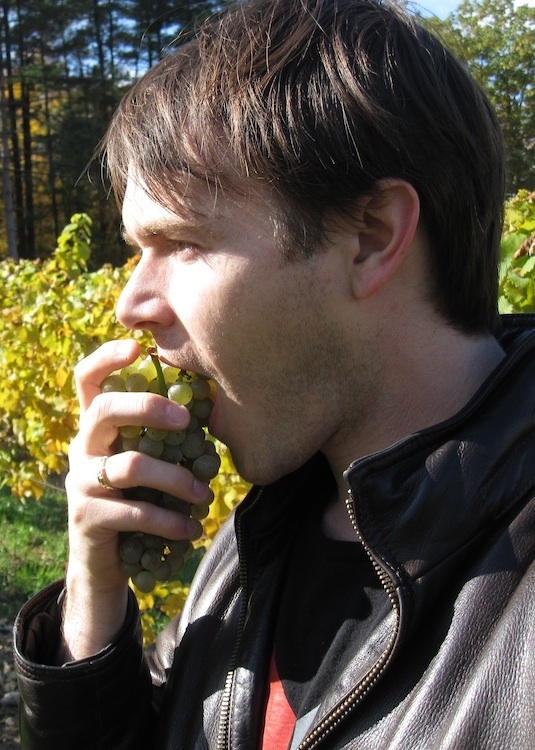 Luckily, dry Riesling from a single block, block 1, planted in 1972 on their own rootstocks in cold, wet coastal volcanic hills of West McMinnville provides apt cutlery. Fermentation dries it to only 1.3 grams per liter of sugar, so we have a tart, green apple yet plump with a bit of viscous, classic petrol, and mineral. 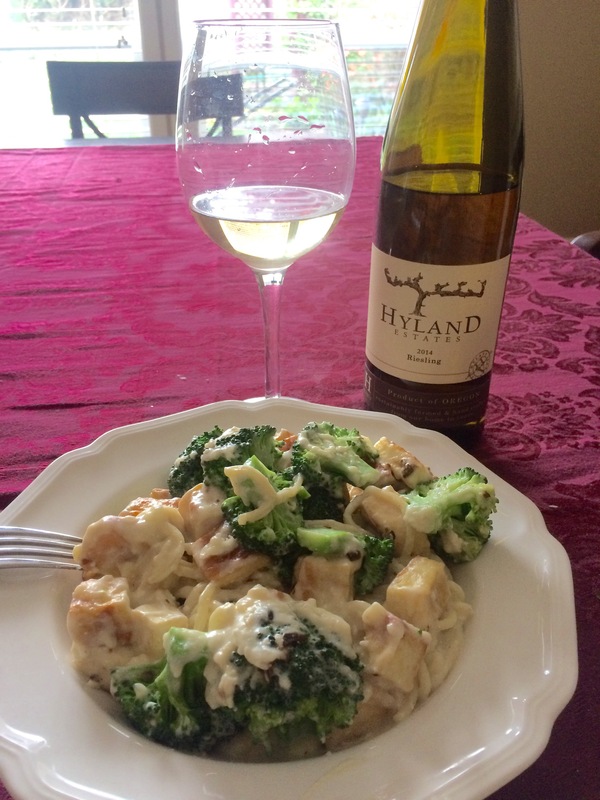 Hyland Estate makes a classic, complex 2014 Riesling. Very good 4 of 5.